Colored jeans. Am I right? Current/Elliott Skinny Stretch Ankle Jeans ($168). I only own colored jeans these days, never have replaced my last pair of blue jeans from years ago. I have colored jeans in the same exact colors as the first and third pair (in the second photo), I wear the greenish ones a lot, and I also have purple jeans and black jeans (if those count as "color" ... well they're not original blue jeans, so ... ). Would love to find a pair the color of those first jeans (in the skateboard photo), so lovely. you are very right. I love them all. Oh boy those peach ones are amazingggg. Actually, I prefer colored chinos. and I think for the fall I'm going to have to get some red jeans. The colour to get is the difficult part... what's a good fall colour? I know! I think the green would be good for fall. 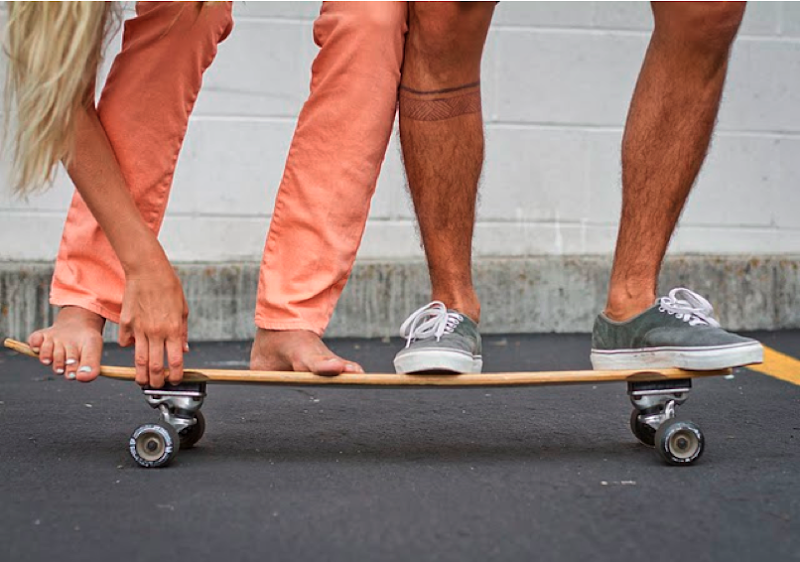 What is going on with that girl's double toenail on the skateboard? ?